Can I Wear Glasses After Nose Tip Plasty Operation? Nasal tip surgery (nose tip reshaping / minor rhinoplasty / nasal tip plasty) is an operation to reshape only the nose tip. When performed alone, no intervention is made to the nasal bone. Although the use of glasses after the nose tip surgery does not directly cause trauma in the surgical field. I advise my patients to avoid wearing glasses if possible 2 weeks after surgery. However, it is appropriate to wait longer for glasses to be used in nasal hump reduction and in patients undergoing an additional operation. Especially light and thin-frame glasses are suitable. 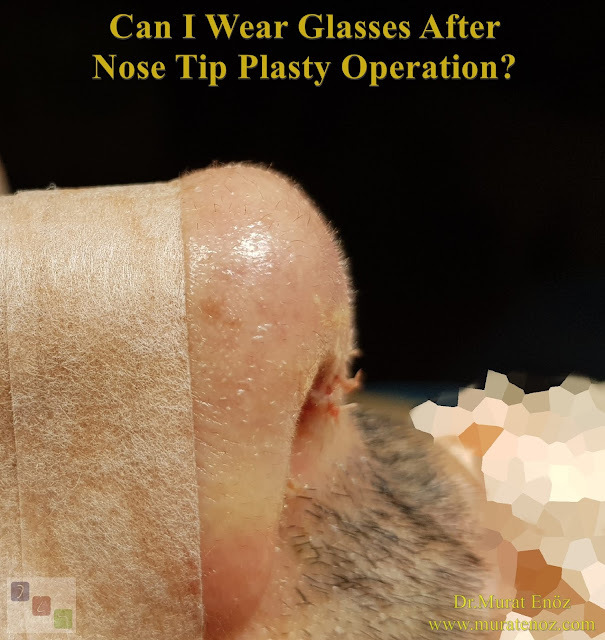 Can I wear glasses after nose tip plasty? How long after nose tip surgery until I can wear glasses? Wearing glasses after nose tip plasty When can I start to wear glasses after nose tip plasty?